How to use context-driven product experiences to drive user adoption? In an increasingly competitive SaaS landscape, it becomes harder by day to engage new signups, activate them and successfully take them along the journey of user adoption. With a limited attention span, users are more likely to lose interest in products that don’t demonstrate value right away or become quickly frustrated with bad product experience. A ‘good’ product experience is one that never fails to provide users with value based on their persona, the right context, and the exact stage of the journey they are currently in. In this article, I’ll be going over what many SaaS companies get wrong about the user adoption process. Moreover, I’ll be arguing that dynamic product experiences that trigger based on context are far more effective in driving user adoption than traditional onboarding techniques. What are the context-driven product experiences? Let’s paint a picture of the user journey. First, there’s the initial Aha! moment: a new sign up realizes the value in your product, and they discover that it solves a huge pain point for them. This Aha! feeling should be so intense that it motivates them to continue along the user adoption journey. Once a user has their initial “Aha!” moment, they’re now ready for the activation process. This is the phase where a user fully engages, or activates the initial set of key features in the product. Activation is the first step to complete user adoption: the end goal of the user journey. This happens once the user becomes so engaged with the product that they reach a stage of complete activation of all of the persona-relevant features. They might even expand the use cases for it. So you’re wondering: how can context-driven product experiences help with all this? You’re basically reacting to the user. How can you react to context or a specific user behavior on a static UI? The native UI of products doesn’t necessarily change based on the user, their persona or the stage of the user journey they are currently in. So how is it possible to react to contextual user behavior? Bring on the product experience layer: a layer that sits on top of your product’s UI, and is dynamic enough to change based on specific scenarios. You probably recognize this scenario: you sign up for a product, and then get immediately bombarded with untimely, general tooltips. You keep clicking next, next, next… but you’re not getting any real value. These tours feel forced, out of context, and they do so little to actually help the user. The intentions are good–these product tours are meant to help you navigate your way around, but they end up doing very little to drive meaningful actions, and actually end up boring or overwhelming the user. If you use general, forced product tours, you are doing very little to drive Aha! moments. How to effectively use the product experience layer? Instead of generic product tours that only overwhelm users, the product experience layer must always push users to take the right action at the right stage of the journey. It reacts to the user, as opposed to forcing actions upon them. It takes context into account: where are they in the adoption journey? Which features have they activated? What’s their use case? Now that you know context-driven experiences are the way to go, then how can you create them effectively? Monitor first-run experiences using tools such as Fullstory or Hotjar. Collect feedback from already successful users: what kind of actions have they taken to find value? Then, we can push signups for similar personas to take similar actions and become successful as well. But they also find through analysis that some users are more likely to activate if they upload a list first, while others find more success when they connect an email address first. 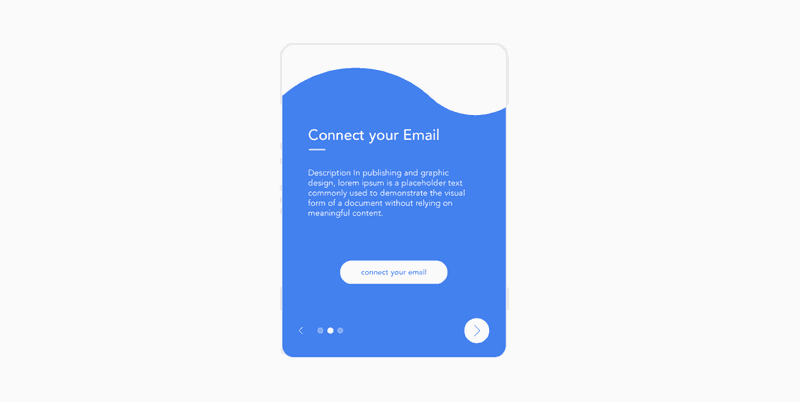 The team can start with a simple modal that gives users the choice about how to begin: either by connecting their email or uploading a list. And based on that behavior, they can dynamically change the product experience to optimize for more activation. A real-life company that does this really well is Airtable. They collect user persona data during the signup flow, and then adjusts the whole first-run experience according to that. 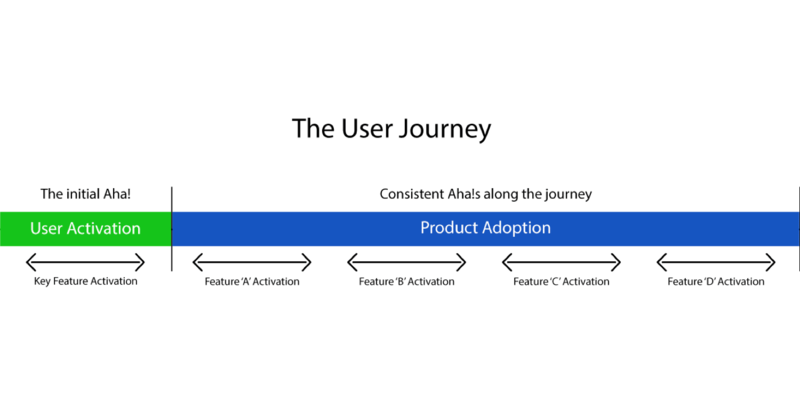 The ideal journey to user adoption. This is where behavior-driven product experiences can be really useful. While the activation process tends to be more linear–there’s only so much a user can do to find value–the journey to adoption is definitely non-linear. Your product may have many features, and not every user will explore them in the same way, or even at the same pace. It’s important to push features in a subtle, contextual way, so we need lots of information about how and when users are activating features. We can do this by tracking and analyzing in-app user events. For example, we can determine the situation that led users to adopt a certain feature using correlation analysis, or detect a dropout in the user journey using funnel analysis. It would only make sense to push users for activation of event B after event A has already been activated. Hubspot is a real-life example of a company that has clearly done their research on their product adoption journey. Let’s look at how they push their templates feature. 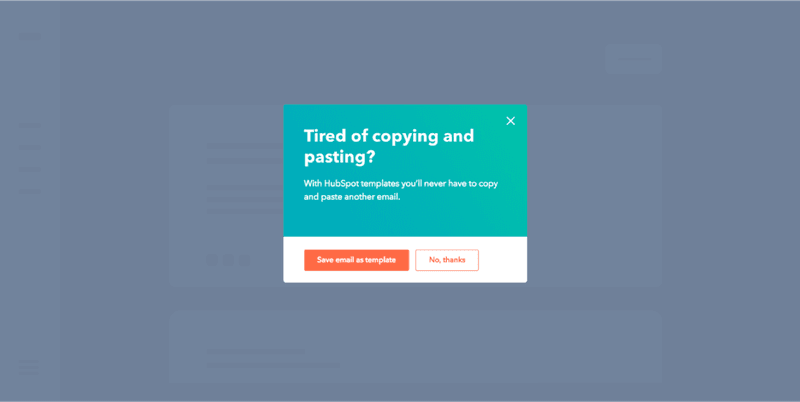 Hubspot only pushes their templates feature after a user tries to copy and paste text into an email body. Their formula is basically: whenever a user has yet to try the templates feature (event B) but tries to copy and paste something into an email body (event A), they will push the template feature. This tip keeps coming, until you build at least one template. Now imagine if they had tried to push this template feature at a random time, or when a user first signs up? It would be absolutely meaningless. If your product team can consistently push product features at the right times — not all at once — then it will only be a matter of time before you end up with a user base that is taking advantage of most of the features of your product. In summary: build contextual product experiences that activate users and align them along the mapped journey to user adoption. Focus on driving meaningful actions based on user persona, use cases. Remember: Context, context, context. Save tips and hints for when it’s appropriate. Stage the right product experience to the right situation/context. Rely on general tips or product tours. Try to focus on all of the features at once. And finally, remember that users have a limited attention span during a run, so make sure you keep them focused. You know by now that that means reacting to them, reacting to the context, paying attention to what key events they’re triggering, and not forcing them or being too general. Yazan Sehwail is the Co-Founder of Userpilot, and has more than 6 years of UX & Product Development experience. He is currently helping 200+ SaaS companies improve user onboarding and increase product adoption.